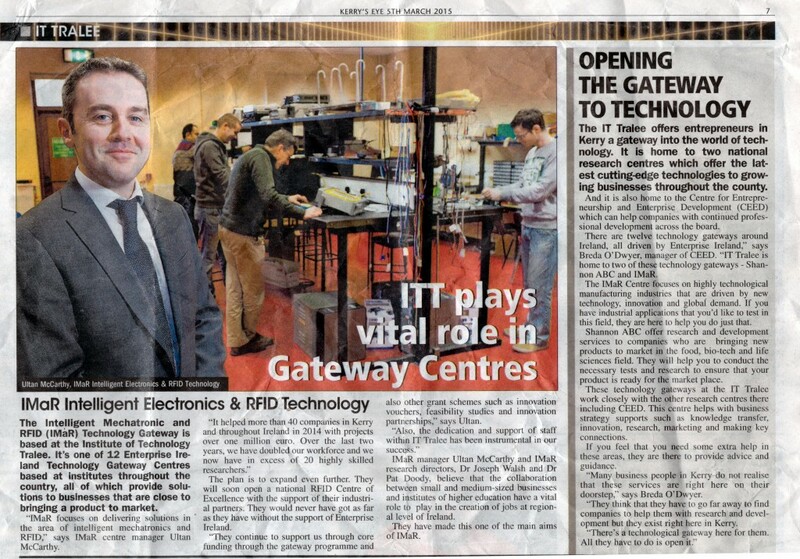 The Kerryseye newspaper recently ran a focus on the IMaR and the EI technology gateway. 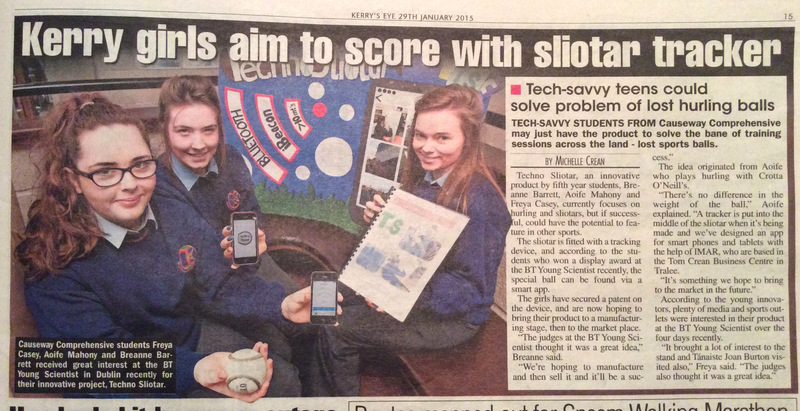 A group of fifth year students from Causeway Comprehensive presented Techno Sliotar, at the recent Young Scientist exhibition, the project featured a sliotar embedded with an iBeacon which allows it to be tracked using a phone app. 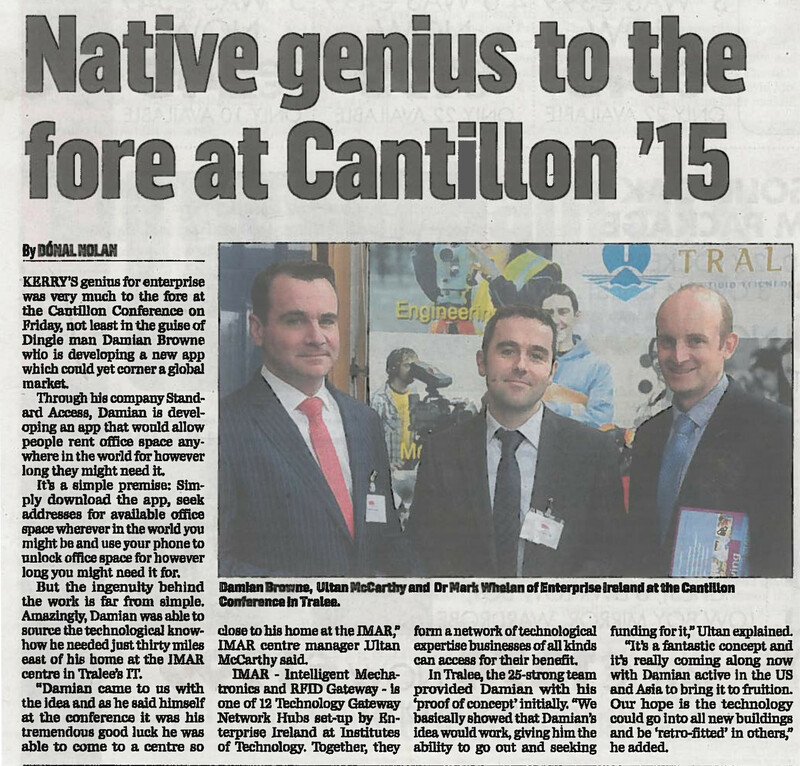 IMaR were delighted to provide technical assistance to the groups who won a display award at the exhibition.